Why do dentists use bone graft in some procedures? Hi guys. I hope you are having an excellent weekend. I know I am. 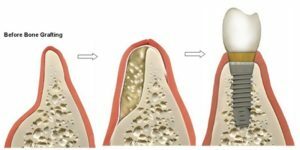 Today I want to tell you about why dentists use bone graft in some procedures. Another topic I will address is how the procedure unfolds and some other tips I hope you find useful. First, let’s define what exactly bone graft is. And the answer is simple and interesting. Bone graft is a procedure where they use bone from another part of the patient’s body to fill other part that needs it. In dentistry cases, bone graft is utilized for fill holes in the jawbone to create enough space for dental implants. While this is the most common use it has other uses too. 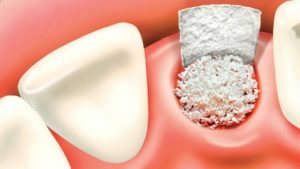 When is bone graft used? Usually a bone graft is needed when the patient does not have enough bone in the jaw to support dental implants. It can be the case that the patient lost some teeth and the jawbone deforms trying to fill the missing gap. In those cases a bone graft might be needed too. Thanks to modern medicine and science, patients now have a solution to these problems and can rest assure that they can smile again. Now let’s mention briefly the type of bone graft available for patients. First we find natural bone graft use in medicine, which is extracted surgically from the same patient to fit his or her needs. In this case, surgeons can use bone graft from donors in case the patient do not have the possibility of use his or her own bone. The other type of bone graft, most common in our field of interest is the use of artificial bone graft. This is used commonly in dental because it is more easy and comfortable for the patient. It does not require any surgical intervention to get enough bone to help the patient out. The artificial bone is made from a especial resin that is compatible with our bones, so you do not have to worry that the bone reject it. Bone graft is really useful for patient who seeks to go for dental implants. It is perfect because it levels the jawbone and gives it enough strength to support each implant in case they does have a weak bone structure. One thing to remember is that after the bone grafting procedure. Patients have to wait 6 months of healing process before returning for their implant. It is a bummer they have to wait so long, but certainly it is worth it. If you are interested in really good prices for dental implants and bone grafting then you should consider checking our prices list. Here in Dental Solution work with specialists in the area and possess the best equipment to perform those procedures. Not to mention that our facility and equipment is up to date and the staff is fluent in English. If you are wondering how much money you can save in Dental Solution in Los Algodones Mexico. Let’s just say that you can be prepared to spend up to 70% less than dental clinics in the United State and Canada.